Admittedly, running your own business is hard. Keeping track of finances, accomplished goals and employee satisfaction at the same time bring certain difficulties. Nonetheless, you must stay focused and calm at all times. Each business depends on your employees and the ways you’ll manage their behavior. It is widely known that teamwork determines the success rate of businesses. Experts suggest that 86% of failures are due to insufficient or minimized communication. If you are running a business, think of yourself like a king or queen who leads an army into battle. The responsibilities are overwhelming as yours and your soldiers’ lives are at stake. The first thing you’ll need to do is set a main, mutual goal. Determining and setting goals has a large impact on people’s motivation. This advice can even be seen in tips on exercising, defeating depression and passing exams. You can also set weekly goals or ones specified for different departments. Imagine organizing a large family reunion. Think of the steps you would take in making sure everything runs smoothly and without conflict. Apart from choosing a date and venue, you’d also want to notify your relatives about their responsibilities such as bringing a cake, booking a videographer, organizing transport etc. Separating roles and responsibilities is key to having any kind of operation ends successfully. Poorly ran businesses have large mix-ups in roles and therefore unnecessary quarrels and egoistic behaviors. Business owners and employees have different perspectives and opinions about the workplace. Owners don’t need additional awards and recognition as the success of their business is an award on its own. Whereas the only recognition employees get is written on their paychecks which with time can induce a feeling of depersonalization. Everyone wants to be valued and publically respected. 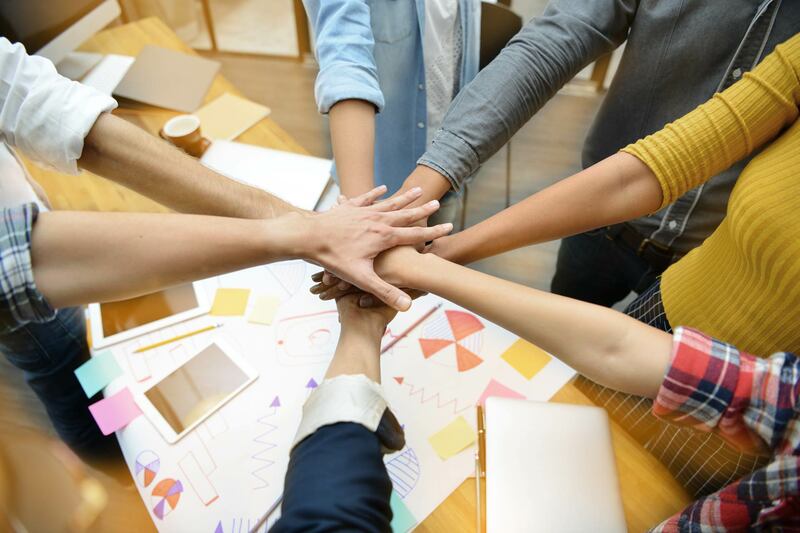 Apart from increasing productivity and self-esteem, awarding quality teamwork creates a loving and positive atmosphere within your organization. Avoiding being work preoccupied while wanting to achieve success for your business can be difficult. You may have the necessary driving force but remember that your employees aren’t as enthusiastic as you are and they may become tired and overworked. Spending time with your employees doing fun after work activities is very important for maintaining a healthy work environment. It is better to ask for suggestions from the employees rather than picking the type of corporate team building events on your own. You can suggest visiting a museum, dining at an Italian restaurant, going on a hike or booking an escape room. While participating in the social event, try to shine a light on your employees and make them feel loved and appreciated. It is not uncommon for CEO’s and business owners to start becoming cold and distant. It simply comes with the territory and luckily can be surpassed. Do not look at your employees with utilitarian eyes. Instead look at them as drops in the ocean, each having different motives, philosophies, feelings and desires. Do some research about types of temperaments and adjust the working atmosphere so that each employee’s needs are satisfied. You can do this by becoming more flexible with working shifts or you can go a step further and create specially designed fun or quiet zones within the workplace.